Can orange light therapy help people who have serious mental disorders? "Emergency psychiatric care hasn't seen much new thinking about approaches to treatment. We're trying to do something about that," says Håvard Kallestad, a researcher at the Norwegian University of Science and Technology's (NTNU) Department of Mental Health. 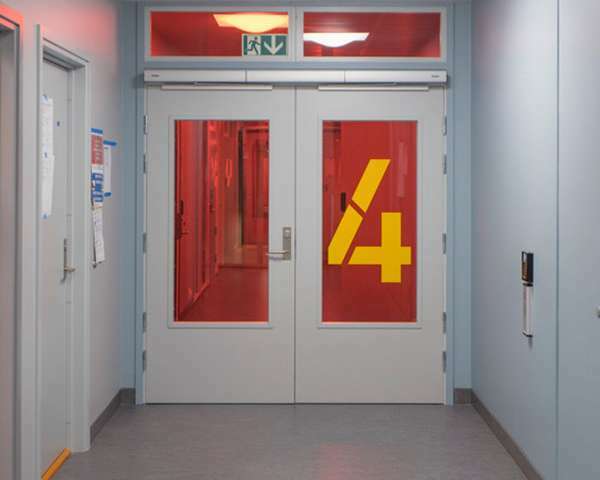 He is part of a team that is integrating a special light treatment into the new emergency psychiatric centre at St. Olavs Hospital in Trondheim. This is the very first such centre in Norway, and one of only very few worldwide. The goal is to see if the light treatment can contribute to reducing medications, even for seriously mentally ill patients. Until the invention of the electric light, the sun was the only source of light for humans. In the evening people were simply in the dark, other than perhaps having light from a flickering candle or fireplace. Currently, the view from space shows that large parts of the Earth are illuminated at night. And that's pretty much fine – we can read longer, work longer and stay out longer. But we may also be paying a price for all the artificial light. And it may affect some people more strongly than others. Too much light at the wrong time of day can damage the body's circadian rhythm – basically your body's own internal clock. A disrupted circadian rhythm can make us physically and mentally ill. But light isn't just light. It has different wavelengths of red, yellow and blue. Regular daylight has many shades of blue in it. And when the sun is about to drop below the horizon, the colour of the light that we perceive changes. Just think of a beautiful sunset. It's mostly pink and orange, without much blue in it. The blue wavelengths in daylight cause the brain to become energetic and awake. Blue light sends a strong signal to the brain that the sleep hormone melatonin should switch off, and then we wake up. That's why a bright light treatment in the morning can help people fend off winter depression and the feeling of powerlessness. And the opposite also holds true. If we surround ourselves with a lot of blue light in the evening, then the body's natural slumber inducer, the hormone melatonin, won't kick in. It may be nighttime, but do you feel tired? Nope. The body thinks it's still daytime. A lot of electronics like television screens, LED lights, lamps, tablets and mobiles contain blue light. If we watch television in the evening or lounge on the couch with our tablet, purely biological reasons will keep us awake much longer than if we were in a candlelit cabin. "In fact, some American researchers took a group of research subjects on a three-day camping trip. They had no artificial lighting there. Just a lot of daylight during the day and darkness at night. Over the three days, the patients became significantly more attuned to the sun's rhythm," says Kallestad. A group of Italian researchers conducted another experiment where they had manic patients remain in the dark from six o'clock in the evening until eight o'clock in the morning. "Their results were remarkable," says Kallestad. "The patients became significantly less manic than those who stayed in regular lighting conditions all afternoon and evening." Knut Langsrud, head of section at St. Olavs Hospital emergency centre in Trondheim, also discovered that patients whose circadian rhythms varied the most also had the longest hospital stays. But having to keep people who struggle with this in dark rooms for so many hours a day may be asking too much. A few years back, Tone Elise Gjøtterud Henriksen, a psychiatrist at Valen Hospital in Hordaland county, began to experiment with how orange-tinted glasses might help people with bipolar disorder. Patients experiencing manic episodes wore orange glasses during their waking hours from six o'clock in the evening to eight o'clock in the morning for one week. A control group wore clear glasses. Everyone continued to receive their regular treatments as well. After just three days, the patients with orange glasses were significantly better. The orange glasses blocked the blue light, and the brain thought it was dark. "At the new emergency centre in Trondheim, you could say that the building has become the tinted glasses. We've taken everything we know about orange and blue light and the importance of a good daily rhythm, and physically applied that knowledge to the building," says Kallestad. Now the researchers want to find out for themselves whether or not light therapy can positively affect the mentally ill. From now on, patients in the new emergency centre will be divided into groups located in two physically separate units. One unit has regular lighting comparable to other public buildings. The other unit is equipped for light treatment. Two long rows of powerful lights are available for use there every morning. Every evening from 6:30 p.m. to 6:30 a.m. the blue light found in daylight and the indoor lighting is switched over to evening light. An orange filter is lowered in front of the windows, and lights in the hallway and the patient rooms turn orange. From 6:30 a.m. on, natural light shines through the windows. And the regular lights are turned back on. That way, patients receive a lot of daylight in the morning and artificial darkness in the evening. The hope is that this will support a better circadian rhythm – and improved health –for patients. "There's reason to believe that this treatment will work based on the earlier research, but it's another matter to actually investigate the method in practice," says Kallestad. "Just to be clear," he adds, "conversations and other therapies with patients in both units will continue in addition to the light treatment." The question arises what people should do who have just replaced their old light bulbs with LED bulbs. We know LED lights are beneficial for the environment, but can they mess up our circadian rhythm? Kallestad confirms that yes, LEDs may potentially have a harmful effect on our circadian rhythm. LEDs produce more blue light than old-fashioned light bulbs do. When it comes to tablets and smartphones, many of them have a nighttime setting or app that filters out blue light that you can turn on in the evening. Or you can turn off the lights completely and light a candle instead.